Attempts at appeasement: Adolf Hitler salutes teams during the opening ceremonies of the Olympic Games in Berlin, 1936. Andrew Roberts: "Appeasement was his central message until the outbreak of war." 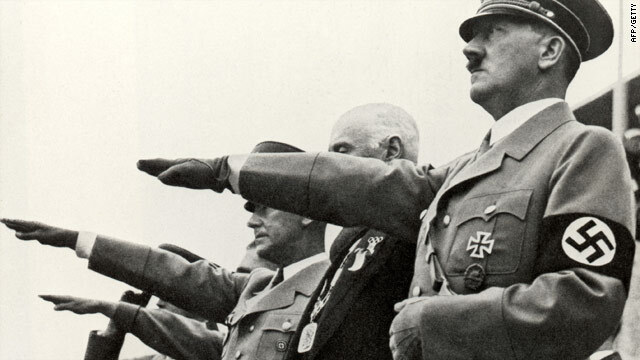 London, England (CNN) -- A letter written by Adolf Hitler in 1931 expressing hope for a "truly cordial relationship" between Britain and Germany was sold Tuesday, fetching £9,600 (about $14,400) at an auction. The buyer was not identified and no details were released about the transaction, in line with policy at Bonhams' auction house in London. 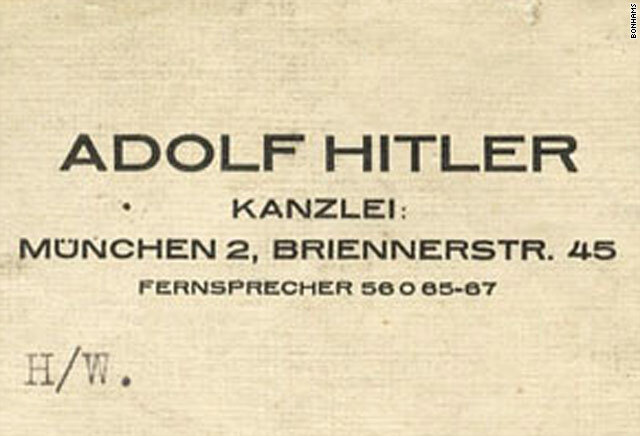 Hitler wrote the letter 16 months before he became chancellor and seized power in 1933. In the letter he said: "I hope... that out of this crisis a new readiness will grow up in Britain to submit the past twelve years to a reappraisal. I should be happy, if as a result of this the unhappy war-psychosis could be overcome on such a scale as to permit the realization of the truly cordial relationship between the British and the German peoples so eagerly desired by myself and my movement. "For I believe that the crisis now breaking in on us can only be solved by the closest political collaboration of those nations who see in the re-establishment of a natural European balance of power the first precondition to dealing with those great world problems under which Britain too suffers today." Andrew Roberts, the British military and political historian, said the letter was a classic example of Hitler trying to lull Western democracies into a state of appeasement. Roberts said Hitler was saying there were underlying interests between Britain and Germany and that he wrote many such letters. "He refers to 12 years which would make it 1919, the year the Versailles Treaty was signed... appeasement was his central message until the outbreak of war. Sefton Delmer would not have been taken in by any of this," said Roberts. Auctioneers at Bonhams in London said the letter has remained in Delmer's family until now but they could not release the name of the person selling it. Delmer was the Berlin correspondent of the Daily Express at the time when Hitler wrote the letter. He was born in Berlin and spent the first 15 years of his life there before his family were expatriated to the U.K. He is reported to be the first British journalist to interview Hitler, who he later described as a rather ordinary-looking man with hair that had been arranged too carefully.